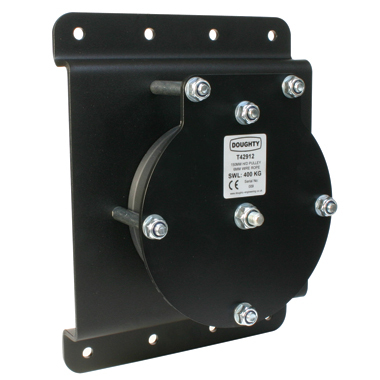 A Heavy Duty mounting plate for wall mounting Heavy Duty pulleys. ie. T42901 + T42997 = 100mm Heavy Duty Single Pulley (for wire) fitted with Wall Mounting plate.